When the time comes for your move, one of the best things you can do to make your move less expensive and go more smoothly is to get rid of things you no longer need. For many people, decluttering in San Diego means having a moving sale. If you are planning to try your hand at one of these sales here are a few tips to make it a resounding success. 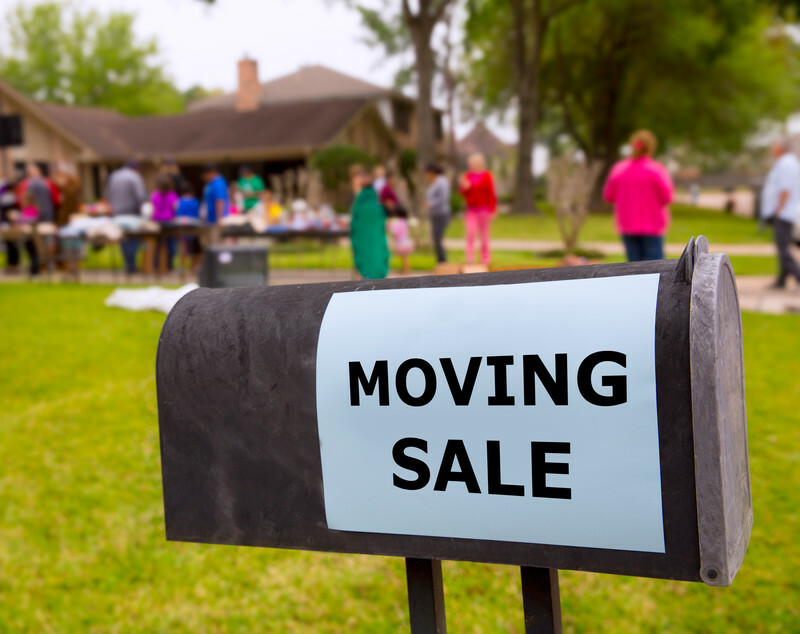 Before you start printing flyers and listing your moving sale in the paper and on the various forms of social media, you should check in at the city or county clerk’s office to see if you need a permit. In most cases, a permit is not required, but it is far better to check first and not need one, than to need one and get shut down because you don’t have a permit. Decluttering a San Diego home in this fashion is best done in the spring and fall months, the same months that garage sales do the best in. The best days of the week to have your sale are Friday and Saturday when more people are likely to be out and about. Start early in the morning and remember that this type of sale is virtually a competitive sport, and you may have shoppers show up at your door as much as an hour early. When it comes to decluttering in San Diego, start by going through each room carefully. Look for duplicates, things that haven’t been used for longer than you can remember, anything you barely recognize. Don’t forget the basement, attic, and garage. Mark everything with a clearly marked price label. It’s a lot easier to sell off the clutter than it will be to try and move it all to your next home, plus it’s a great way to make a little extra cash. Finally, on the day before your sale, go around your neighborhood putting up posters advertising your sale on phone poles, in local stores if allowed, and anywhere else you can think of to guide buyers to your sale. Run to the bank and makes sure you have plenty of ones and fives as well as small change. Keep your cash box stashed in a safe place. Make sure you have a thermos of coffee and a comfortable place to sit in between customers. On the day of the sale, set everything up in an organized fashion, and get ready for business. That’s you decluttering in San Diego. In the event you don’t sell everything at your moving sale, contact Priority Moving at (858) 256-4808. We can help you donate the rest to someone who can make better use of them.